Welcome to the Adult Entry sign up page. Please fill out the details below and click "Add to Cart". 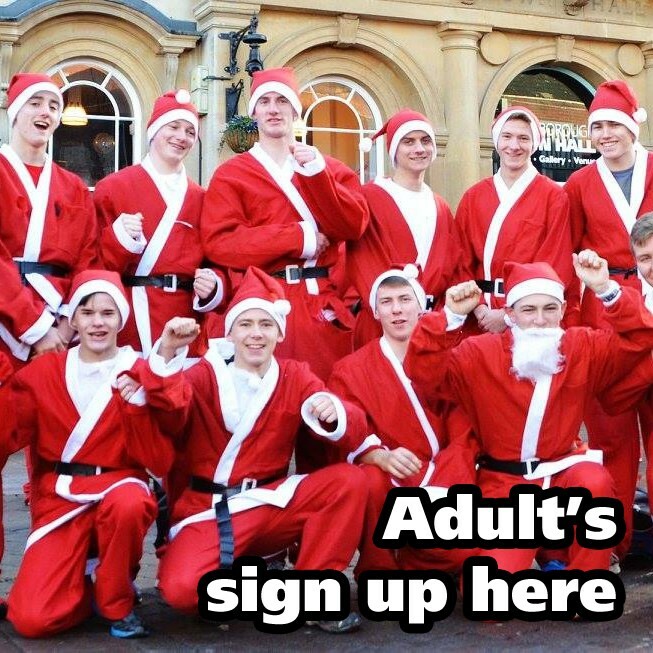 To sign up an under 16 entrant or another adult, please go back to the previous page. *I declare that I am medically fit to run and that I enter entirely at my own risk. I understand that the organisers can not be held responsible for any injury or illness incurred during or as a result of “The Loughborough Santa Fun Run and Walk"